DCP are delighted to announce the successful launch of our new bespoke 360° Feedback Questionnaire. We are privileged to work with Board members and executive teams of some of the most successful and high performing organisations. This unique access has allowed us to directly observe what highly effective leaders do. 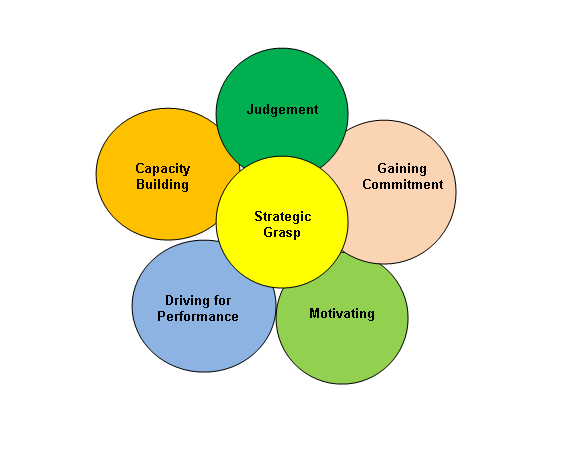 This knowledge has now been crystallised into a model that defines the hallmarks of true leaders. 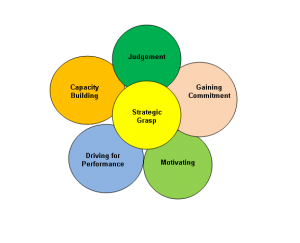 Each cluster is built on the foundation of individual behaviours. Much of our work consists of helping individuals develop to become more effective leaders. We have a wealth of experience and knowledge that aids the individual in understanding the motivational and temperamental drivers that are at the root of their behaviour. A recent initiative has see us develop a 360° feedback process to measure the leadership behaviours. A key to unlocking individual potential is the capacity to hold up the mirror so that they can see themselves as others do. Leadership is essentially about getting other people to do things. The positive impact that the leader has on others is the benchmark of their effectiveness. Our 360° process gives a precise comparison of what an individual thinks they are doing and what others actually see. By this means development can be precisely focused to deliver quick positive impact on performance.